When I saw this skirt at a thrift store a few weeks ago I fell in love. The polka dot isn't too over whelming that it kills your eyes, but subtle enough that it makes a fun print. It's also super light weight and airy which is a must in skirts during these warm months. This outfit is very patriotic :) I need to get the skirt altered soon but I couldn't wait to share one of my thrift finds with you. How has your week been? Miss you all! You Look Very Classy. I love the pop of Red with the necklace. Well done ! Oh love the polka dot!! great thrift! 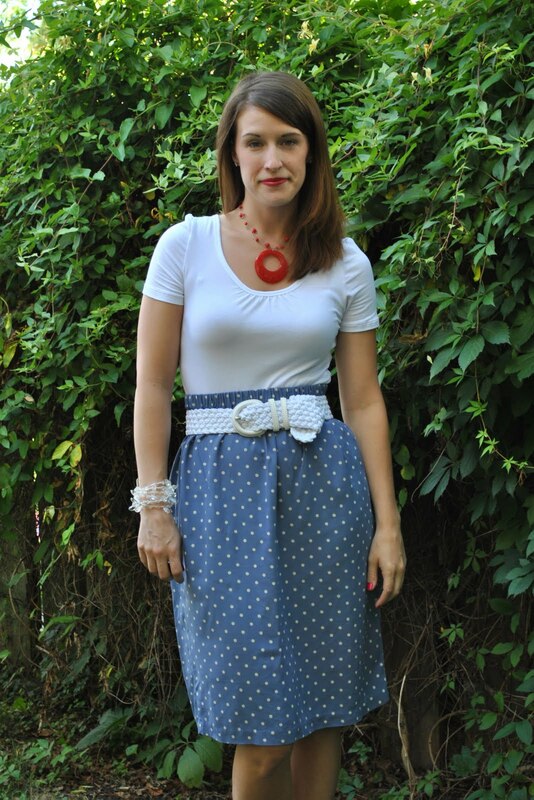 that skirt is a perfect color and length on you and i really like the red necklace.